Founded in 1990, Amicus Consulting, Inc. was the first legal technology consulting firm in Westchester County, NY. Amicus Consulting specializes in legal technology consulting, implementation and training, in New York with support and advice everywhere through remote access. We empower smaller firms with the software and workflow tools to compete successfully with large firms. With over 25 years of legal technology consulting, implementation and training, Amicus Consulting understands the demands of a busy law firm. Over the years, we have worked with over 500 firms across the country. To this day, we continue to support a large majority of them as active clients. When it comes to service, we pride ourselves on delivering an exceptional client experience by offering installations and upgrades over evenings and weekends in order to minimize firm downtime. We save travel time and expenses by using state-of-the-art technology to manage installations remotely. We even respond to clients after normal business hours when needed. You can count on us to deliver what you need when you need it. We sell, install, configure, customize and train on all of the products we offer. We are certified by the companies we represent. Since 1990 we have worked with hundreds of smaller law firms guiding their understanding of available law practice software. We deliver an excellent client experience to support a long-term client relationship. We can offer you a turnkey legal practice software solutions for purchase, installation, and training. We will even partner with your current vendor during implementations and after, or assist you with any needed IT services for installation and network issues. We don’t vanish after the sale – It is our sincere desire to keep you as a long-time client. Our certified consultants also promise to keep you abreast of technology updates and improvements. Our vision is to provide our clients with the most efficient and cost-effective ways to work by providing unrivaled legal software solutions and expert advice. As our client’s trusted advisor, our goal is to be a dependable resource and highly valued partner for their technology and process solutions. 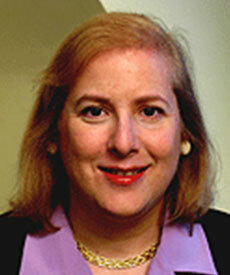 Andrea founded Amicus Consulting, Inc. in 1990, as the first legal technology consulting firm in Westchester County. Her articles on legal technology and ethics have been published in the Westchester County Bar Association and the Westchester Women’s Bar Association newsletters. She has appeared on various New York State Bar Association programs. She is also a frequent speaker on technology topics related to legal practice at the Association of the Bar of the City of New York. Andrea works with a wide variety of law firms, legal departments, and law schools throughout the Greater New York metropolitan area. Andrea is a Certified Independent Consultant (CIC) for LexisNexis Time Matters, a CIC for LexisNexis PCLaw, and a CIC for LexisNexis Billing Matters. She is also a Certified Consultant for Timeslips, a Certified Consultant for Amicus Attorney, and an Authorized VAR/Reseller for Worldox.